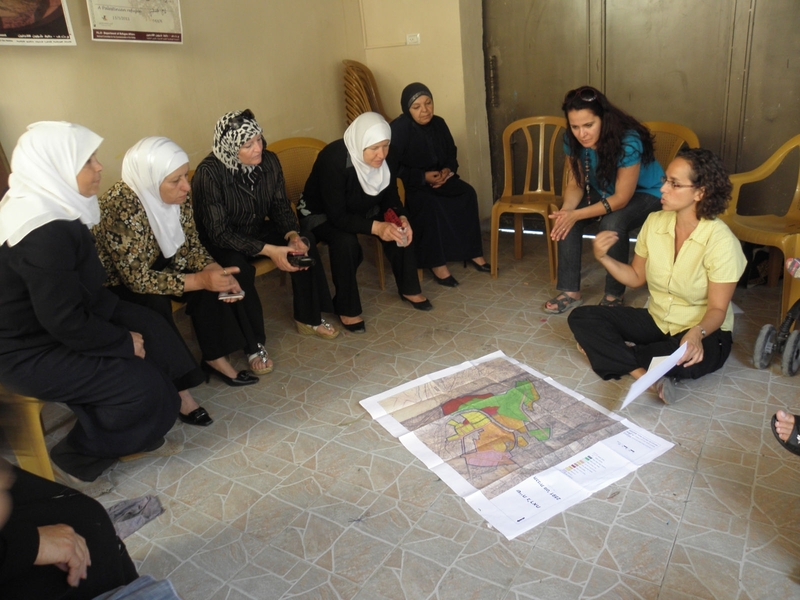 Bimkom implemented a workshop for women in East Jerusalem to empower them with the knowledge and tools to protect, promote and assert their rights to housing, adequate infrastructure and services. Together with the local organization Al-Maqdese, Bimkom developed a series of 12 informational sessions, with over 90 participants (all women) in total. The workshop has proven to be enlightening to both participants and Bimkom staff. Through our discussions with women, we became familiar with issues that men don’t tend to take into consideration, such as the complete lack of public restrooms in East Jerusalem, or the need for crosswalks in front of elementary schools. Since men are ordinarily the representatives of these communities, this project has enabled us to look at planning in East Jerusalem through a new lens. This entry was posted in Community Workshops. Bookmark the permalink.